Hey all, its the final day of seeing the sets in the action. Today there are 2 sets. One is Background Block - Stars, and background Builders - Seeing stars! 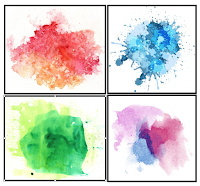 Both these sets are great for creating BG or just for the focal panels. I have used the block set as my focal panel, and heat embossed in sticky embossing powder and used a rainbow foil to add the shimmer to the stars, it matches with the sentiment. The sentiment is added on a panel, and stamped on the base! Tomorrow the stamps will be up for grabs, and the usual DT blog hop, and you might get lucky to win the sets! For the second one I used the stars panel stamps and stamped in grey ink on the base card. Then Cut out a circle on the front panel, and added to the base. 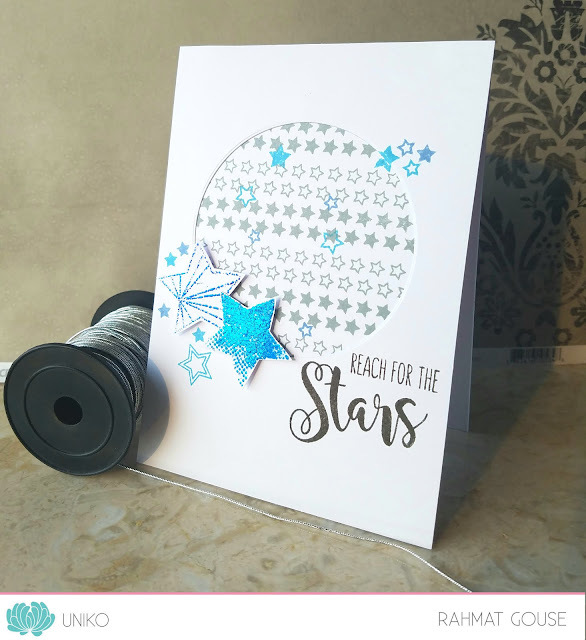 I stamped and heat embossed 2 big stars with sticky embossing powder, and foiled using a blue and turquoise foil and fussy cut to add. I stamped some more starts in a scattered manner in shades of blue inks. The sentiment is stamped on the front panel to finish off. Tomorrow is the official release day, and stamps will be up for grabs, and we will have the blog hop and GIVEAWAY. Gorgeous rainbow of stars on the first and the turquoise and grey is a fab combo of colours on the second. Brilliant pair of cards, love them! Beautiful cards! I love the rainbow colors on the first card and the silver and teal combination on the second one. Love the designs of each and the inspirational messages on both. They're so pretty! Thanks for joining us on the Simon Says Stamp Monday Challenge. Great rainbow card !! Very cheerful !! 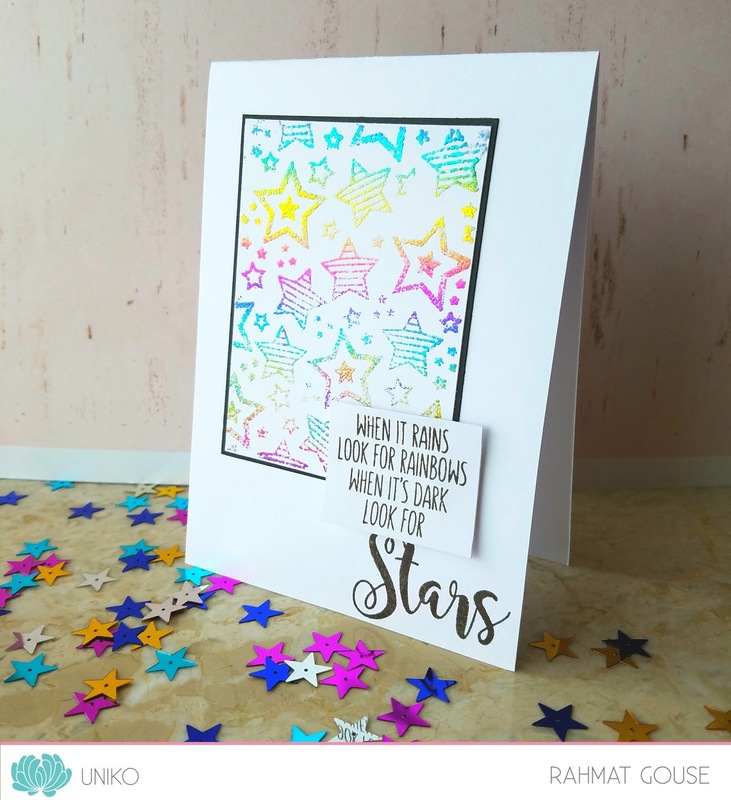 2 pretty cards, Rahmat - stars are a great subject for so many occasions! Thanks for playing along with us at the Simon Says Stamp Wednesday challenge!